There are many options when treating sleep apnea. What Is Positive Airway Pressure Therapy? Continuous positive airway pressure (CPAP) is typically the first line of treatment for patients with obstructive sleep apnea. Here, a machine holds the throat open while sleeping by blowing air through flexible tubing into a mask that is placed on the nose or over both the nose and mouth. This therapy prevents the blockage of breathing that occurs in obstructive sleep apnea, but it can also treat central or mixed sleep apnea. CPAP pressure settings are uniform throughout the night, but a patient can also receive auto-titrating positive airway pressure therapy, in which the level of air pressure over the course of the night adjusts to meet the specific needs of the patient. Some patients with obstructive, central or mixed sleep apnea may benefit from bilevel positive airway pressure (such as BiPAP). BiPAP is similar to CPAP except that it has a higher pressure of air delivered while a patient is breathing in and a lower pressure when the patient is breathing out. Adaptive servo ventilation (ASV) can treat some patients with central or mixed sleep apnea. ASV is slightly different than CPAP or BiPAP therapies because the ASV machine is not set with a specific pressure. Instead, it adapts to the patient’s own breathing patterns and supports breathing by providing enough positive pressure to maintain the patient’s natural breathing patterns. A recent study showed potential harm with this therapy in some patients with heart failure, so ASV is used primarily in patients with central or mixed sleep apnea that do not have heart failure. What About Surgery for Sleep Apnea? Surgery can be an option for patients with obstructive sleep apnea, mainly for those who are not able to tolerate positive airway pressure therapy. There is a wide range of procedures available to stiffen, remove or reposition tissues in and around the throat. No single surgery is right for every patient, so a major part of the surgical evaluation is trying to determine the areas of the breathing passages that collapse and block breathing in an individual patient. A procedure called drug-induced sleep endoscopy may be performed to make this determination. Surgical procedures for obstructive sleep apnea may focus on the nose, soft palate (roof of the mouth), tongue or upper and lower jaw. Because more than one area of the breathing passage may be responsible for obstructive sleep apnea, many patients may benefit from a combination of procedures. 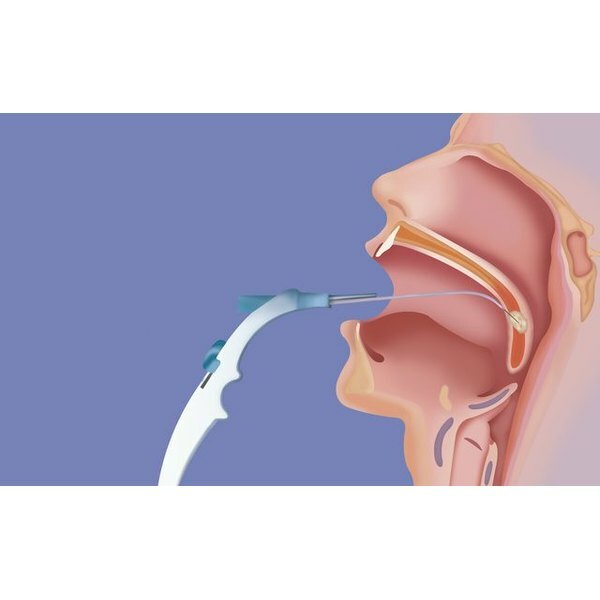 Some procedures used to treat obstructive sleep apnea are uvulopalatopharyngoplasty, expansion sphincter pharyngoplasty, tongue radiofrequency, genioglossus advancement, upper airway stimulation and maxillomandibular advancement. There are two types of oral appliances: tongue retaining devices and mandibular repositioning devices. Tongue retaining devices use suction to hold the tongue forward, preventing it from falling back to block the space for breathing in the throat. Mandibular repositioning devices are used more commonly. They are placed on the teeth of the upper and lower jaw at the same time, holding the lower jaw (mandible) forward and slightly downward to open the space for breathing. Oral appliances are generally used for cases of mild or moderate obstructive sleep apnea. What About Medications to Treat Sleep Apnea? There have been a number of studies to evaluate medications for central and obstructive sleep apnea. In general, results have been disappointing. Research is ongoing to determine whether certain types of patients may benefit from medications. Journal of Clinical Sleep Medicine: Clinical guideline for the evaluation, management and long- term care of obstructive sleep apnea in adults. Otolaryngology—Head and Neck Surgery: Hypopharyngeal surgery for obstructive sleep apnea: an evidence-based medicine review. Sleep: Oral appliances for snoring and obstructive sleep apnea: a review. Eric Kezirian, M.D., is an international leader in the surgical treatment of snoring and obstructive sleep apnea. He is currently a professor at the Keck School of Medicine at the University of Southern California. Previously, he was the director of the Division of Sleep Surgery at the University of California, San Francisco. Dr. Kezirian has authored numerous research articles related to sleep disorders and treatment and also serves as the editor and reviewer for several medical journals.